Use our sizing chart to determine the best size of JOX for you. If you are at the upper limit of a size range, we recommend that you purchase the larger size. Will JOX fit over my underwear? JOX Core Support Shorts are designed to be worn as your underwear. We suggest you wear JOX under your everyday clothing. Are JOX for men and women? JOX Core Support Shorts have been engineered to fit to a man’s body. Check back soon as we're developing Lady JOX which we hope to have available soon. What color do JOX come in? Currently, JOX are only available in black. Will JOX fit under my clothes? Yes – JOX are very light and you will hardly notice them at all. Are the HOT PAX reusable? JOX HOT PAX are not reusable and are meant for single use only. 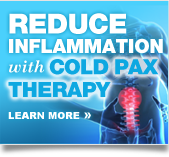 JOX HOT PAX have been carefully engineered warm up to exactly 115o Fahrenheit, the optimal temperature to use as heat therapy. We have explored reusable products that would be heated in the microwave, but the temperature can not be controlled and there would be a potential for burns. Are the cold PAX reusable? JOX COLD PAX are not reusable. How do I wash my JOX? JOX can be washed in a normal washing machine, but it is important to ensure the Velcro belt is completely fastened. Use a gentle washing cycle with cold water or hand wash. DO NOT USE BLEACH OR FABRIC SOFTNER. Do not put your JOX in a dryer. Always allow JOX to drip dry or dry flat. If I buy JOX and they don’t fit can I return them? JOX Core Support Shorts can be returned within 30 days of purchase for an exchange for a different size provided it has only been TRIED ON FOR SIZE AND FIT ONLY and the hangtags are still attached. If the JOX have been worn in a physical, daily, or athletic activity they cannot be returned. Can I return my JOX if I don’t like them after I wear them? Will JOX make me sweat? JOX Core Support Shorts are made with materials that breathe and wick moisture away from the body. They are extremely light – weighing only 10 oz. – and should not make you sweat. You can wear the JOX Core Support Shorts all day. We only suggest using our JOX HOT PAX for 8 hours or less. We have many customers who wear their JOX every day, while others only wear JOX when they are physically active. Why is JOX so expensive? 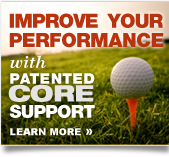 JOX Core Support Shorts are made from the highest quality materials available and Jox is the only product that has been patented to provide 3 key benefits in one product. 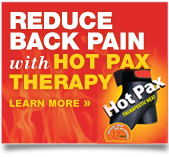 Only JOX supports the lower back, provides the ability to use hot and cold therapy, and provides compression. Additionally, each pair of JOX comes with two Hot Pax and a one Cold Pax, an $8.50 value. I have tried products like ThermaCare and Icy HOT what makes your product better? JOX Core Support Shorts are the first garment to combine core support with hot and cold therapy that is used with compression. And most importantly, our compression shorts anchors our Hot and Cold Pax in exactly the right place (over the L4 and L5 portion of the lower back). Therefore, no matter how active you are, your Hot and Cold Pax will stay right where you need them.